At Birway we can service any type of car, light commercial vehicles upto 3.5 ton, Minibuses and Motorcyles irrespective of year including those that are still under warranty. We offer a full Manufacturers Service, popular with customers who are looking to make savings on their cars servicing without it effecting their manufacturers warranty. It is important to service you car at regular intervals to ensure you reduce the wear and tear on your vehicle, increase the resale value through a proper recorded service history and cut down the cost of putting your car through its annual MOT. 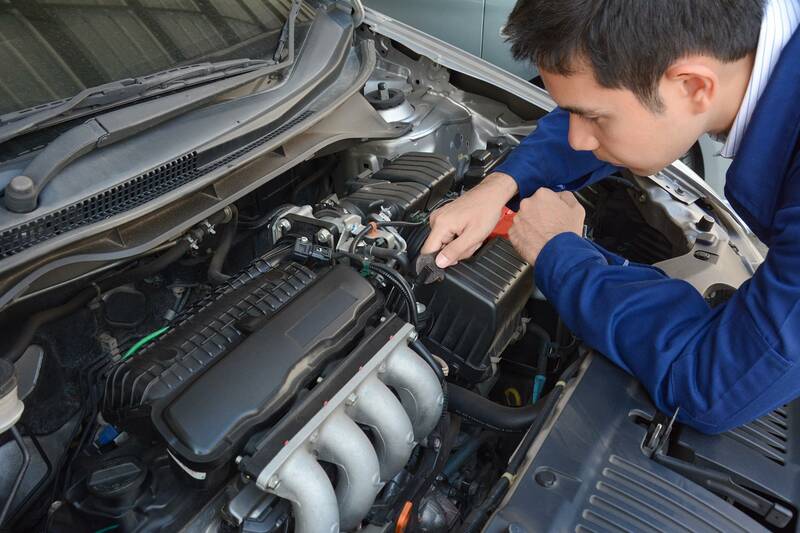 Why choose Birway for your vehicle servicing? At Birway we send out Service and MOT reminders every year, approximately four weeks before they are due. If you would like more regular service reminders due to the high levels of mileage you cover then please let us know and we will adjust our records accordingly. Our Service Reminders can be made through telephone calls, emails and SMS Text messages – the choice is yours. When you bring your vehicle in for the first time at Birway you can select a reminder process and also register for our Loyalty Scheme Card. What do l need to bring? Apart from the obvious – your vehicle all we need is your Service Book so we can stamp it as a clear service history can improve the resale value of your car. We will also need your Locking Wheel Nut Key if they are fitted to the vehicle.